Wikicampers facilitates and secures rentals between individuals. You too can take part in the adventure! on his requirements (rental dates, number of passengers, distance, planned route and vehicle comfort). The owner is notified by e-mail or text. He can contact the prospective client and then accepts or refuses the request within 48 hours. The owner agrees with the client to the time and place of collection and prepares the vehicle. On the first day of the rental, the owner carries out a vehicle inspection with the client, who then signs the contract. The owner takes the time to show the client how to drive the motorhome. The client returns the vehicle to the owner in the same condition as when they took delivery of the vehicle (full tank of petrol, empty waste water tank). Both parties then fill in the return inspection form and each party reviews their experience of the rental. What kind of driving licence do I need to drive a motorhome ? 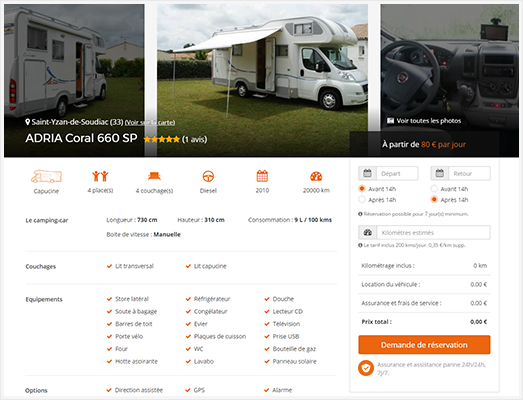 An ordinary car licence is sufficient to rent a motorhome on Wikicampers as all vehicles have a weight limit of 3.5 tons. What are the requirements for renting a motorhome ? 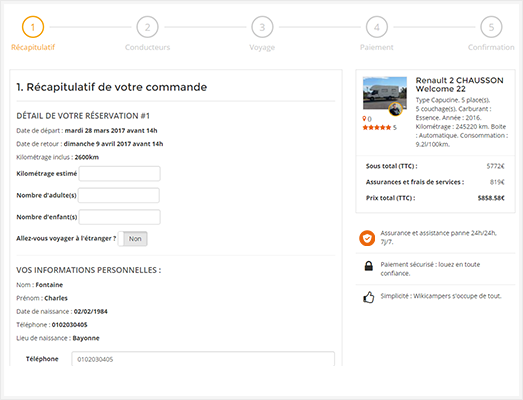 To rent a motorhome on Wikicampers, you need to be 23 years old and have had a full driving licence of more than 3 years. Is it easy to drive a motorhome ? Yes, getting use to the vehicle is quick and easy but you must always bear in mind the size of the vehicle, i.e. overhang and height (when going through tunnels, for car park height restrictions, tree branches, etc). The size is specified in the advert for the vehicle. Rent your motorhome and make extra money ! Are you a motorhome owner? Rent your motorhome safely and earn €3,000 per year ! ! Your vehicle is comprehensively insured throughout the rental. How does motorhome rental work ?